4. Export to more than 20 countries. Sandwich panel production line is used for the special purpose of producing the new type constructional material (Sandwich panel), with the function of compounding EPS or Rock wool board to the color steel sheets. 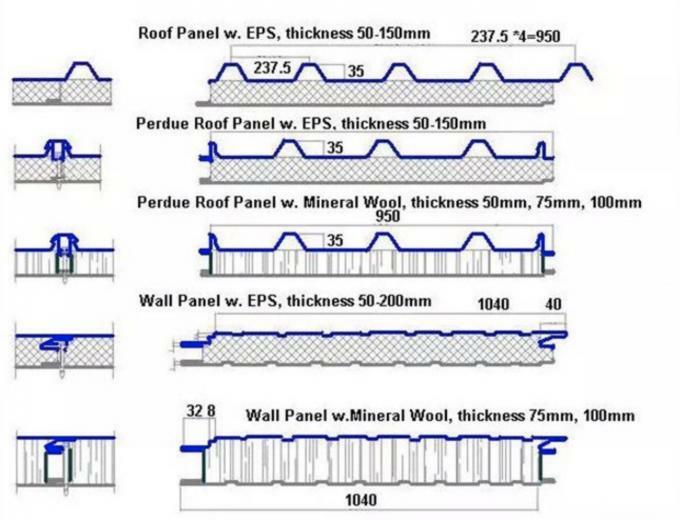 Sandwich panel is very light weight. (1/40 to 1/10 of common brick).It is high strength, warm conservation, water proof, convenient for construction, short construction period etc. 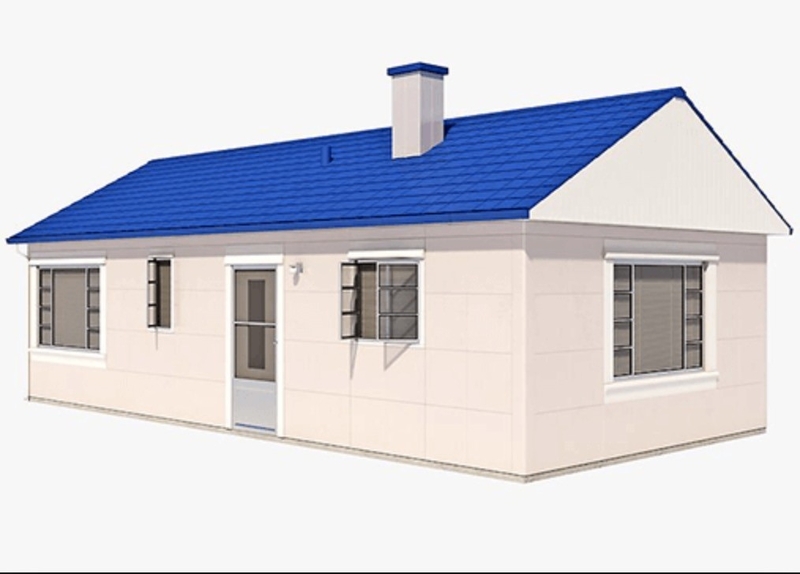 As the ideal constructional material, they can be used to build warehouses, workshops, wide range roofing, air-conditioned houses and so on. Frame Structure: 350# H Steel.